I was just looking on the recent statistics concerning the traffic we receive. It's amazing how we still receive the "more or less" same amount of traffic as 6months ago considering that the last post was available on the website 3months ago. We have to do something. We can not disapoint people who come back to the site and expect something new..
That's why we need to extend.. So it's public anouncement. We are looking for contributors! We want you to help us show Romania the way you see it when travelling.. Rolling hills of Bucovina, unique Danube Delta or whatever place you prefer for your weekend trips/holidays. 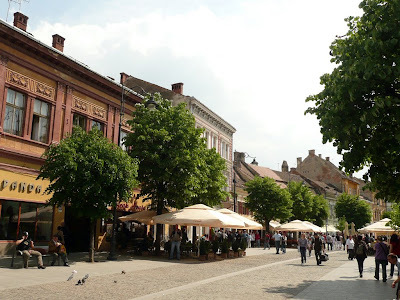 Sibiu - Nice street to have walk.. Lots of coffee shops, restaurants, pubs..
Constanta - Carol I Mosque. Also known as the Great Mahmudiye Mosque, this muslim church was built between 1910-1912, during the reign of King Carol I. The monument had a model in Konia Mosque from Analotia, Turkey. 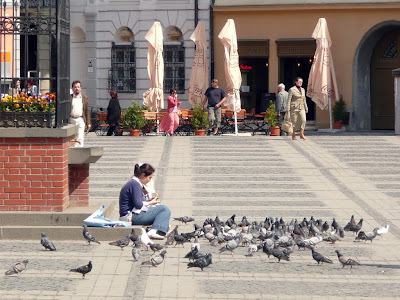 You cand see it from Ovid’s Square. 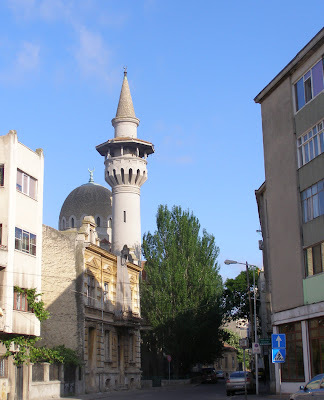 Constanta - The mosque is the first building in Romania made of reinforced concrete. 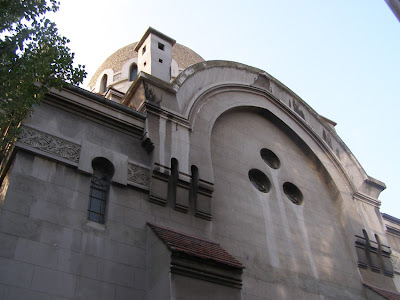 It is designed in Egyptian-Byzantine style, with some Romanian architectural features. Constanta - Carol I Mosque - Side view. Constanta - Carol I Mosque. 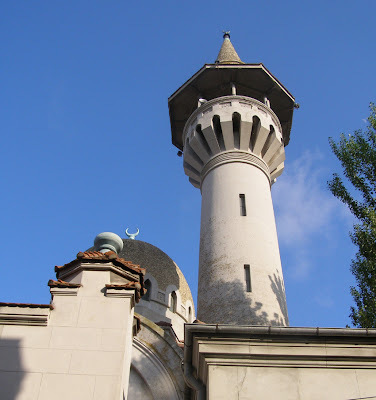 The minaret (50 m high) is built in Moorish style. Constanta - The House with Lions. 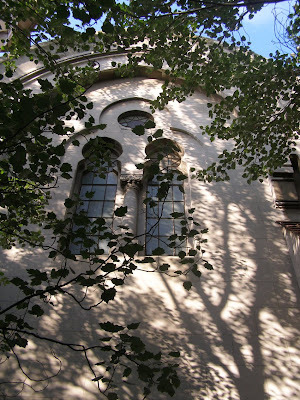 It is a villa, historical building, situated close to Ovid’s Square. 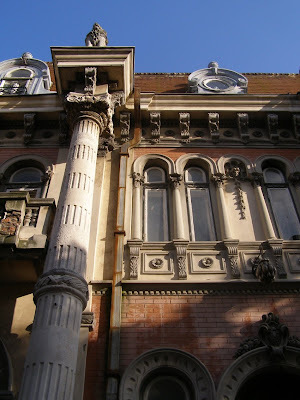 Constanta - The House with Lions. The name comes from the four columns on the facade with sculptured lions on top. 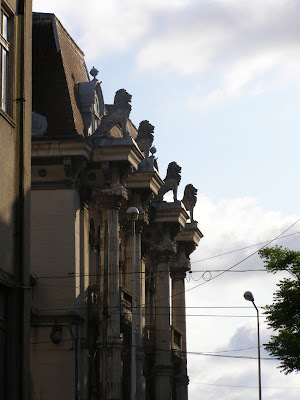 Constanta - The House with Lions. 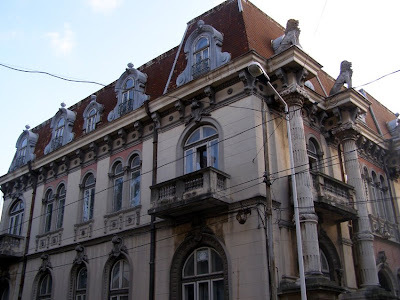 It is said that, in the 1930's, it was a meeting place for the Constanta Masonic Lodge. Constanta - Ovid's Statue - Situated in front of the Museum of Natural History and Archaeology, in Ovid’s Square, the statue honours the Roman poet, Publius Ovidius Naso, who was exiled to Tomis (today Constanta) in 8 AD. It was designed in 1887 by the Italian sculptor Ettore Ferrari. Constanta - The Genoese Lighthouse - It was built in 1300 by the Genoese merchants and restored in 1858-1860. The lighthouse (8 m high) had been functional until 1913. It is very close to the Casino (aprox. 5 minutes' walk). Bihor - Bear's Cave - Probably the most beautiful cave I've been to. Bihor - Bear's Cave - Some bones..
Bucovina - This is how the houses used to look. There still are lots of them in the villages of Bucovina. My personal favourite. I like animals a lot, and around here, as you see, hens live a free and happy life, outside the yard. Daniil Sihastrul Cell - this is the cell of a monk. it was carved in stone through 11 years by this man. And it looks like this. One man's hard work, turning a rock into his house. Dragos Voda Monastery - the oldest in Romania, this church was made in wood in the 14'th century. It's really something to see 700 years old oak. Putna - monasteries around here look like fortresses. That's because of the many turkish and mongolic attacks the people of this area suffered.